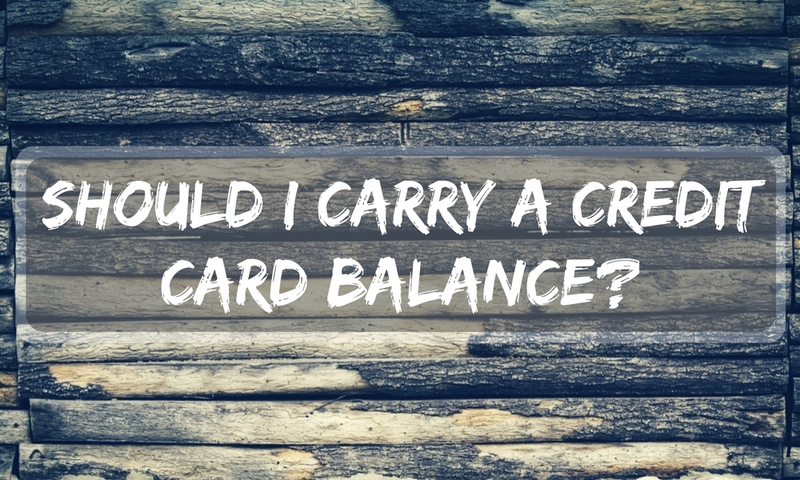 Should I Carry A Credit Card Balance? When you use your credit card on a regular basis, you’re faced with the decision of how you should pay it off each month. You can either pay it off in full or just make the minimum payment. But you’ve probably wondered if you should carry a credit card balance. Does doing so help your credit? There’s really no need. Even though it does get you some points, it doesn’t do too much to help your credit. What it does more of is put you at risk of not paying off your credit card and increases your interest each month. That doesn’t mean it’s bad to have a balance, because sometimes life just works out that way. If you do have a balance, however, it’s best to try to keep it under 10%, as keeping it here will get you the maximum points possible. Even if that isn’t many points. That being said, you do have options when it comes to how you pay off your credit card. This option is the one we most highly recommend you try to do first, if you can. If you are in a position to do so, definitely pay off your entire balance to avoid any interest. However, wait until the statement comes in so the bureau can see that you’ve been utilizing your card. Then, go ahead and send in your payment. On time. If you are unable to pay off the whole balance at once, you can always pay the minimum balance. This one is easy on your wallet at first, but later, not so much. Thanks, interest. Regardless, this option is extremely helpful if you’re a little tight on money for the month. If you can’t afford to pay off your whole balance, then you can simply pay off your minimum due and it will be considered an on-time payment. The only downside is you will have just a little extra to pay next month because of, yes, interest. Say you use your credit card to make a payment on Monday and sign into your account on Wednesday. When you sign into your account, that’s when you’d likely pay off your balance. This option might really help you keep on top of your finances, but be aware that if your balance shows zero every time the cycle ends, your credit bureau is going to see your account as “not being utilized,” even though that’s not the case. So, yes, you’re being responsible and paying off your card on time, but you’re also not helping your credit score because the bureau has no actual proof that you’re being responsible. Do you have anymore questions about whether you should carry a credit card balance? Let us know! To enlist the help of a trustworthy, effective credit repair company, call us today at 1-866-991-4885! ← How Often Should I Check My Credit Score?